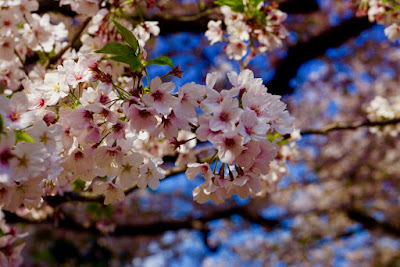 Each spring, for just a few weeks, Japan falls under the mesmerizing spell of sakura or cherry blossoms. Teams of meteorologists are eagerly dispatched to provide sakura zensen – detailed, up-to-date reports - on the cherry blossoms, as they begin to sweep through the Japanese archipelago, beginning in the south. Enchanted with the wave of unfurling blossoms, the nation celebrates. Familiar shades of pink adorn shopping bags. Restaurants offer time limited sakura items on their menus. 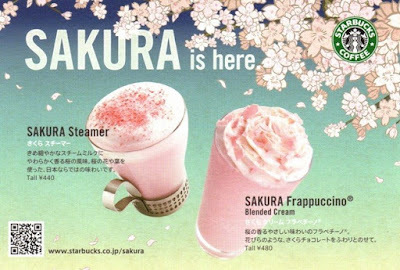 Sakura inspired confectionary items beckon shoppers to indulge, and Starbucks serves their Sakura lattes. 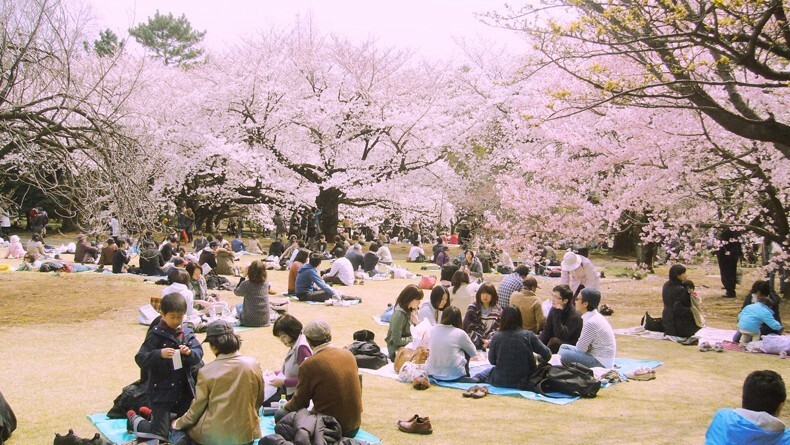 Families descend on parks in the hundreds for their annual sakura hanami – a picnic or party to enjoy the blossoms. 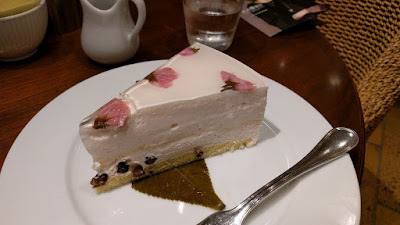 (Hanami means to view flowers). Companies have even been known to assign a staff member the task of sitting all day in a park, to reserve a spot for the evening hanami party. The wave of pink evokes new beginnings: the start of the rice-planting season; the beginning of the fiscal year and school year; and for many college graduates, the start of a new job. Why the obsession with this delicate, pink flower, which has been celebrated for centuries in Japanese art, literature and poetry? Plum blossoms, it could be argued are equally beautiful, and their flowers can last a month. Many people can’t tell the difference between the flowers of a cherry blossom and those of the plum blossom. To make sense of Japan’s fascination with the cherry blossom, we need to appreciate two concepts in Japanese aesthetics – mujo and mono no aware. One of the qualities of Japanese aesthetics is the preference for perishability. Lafcaido Hearn, an international writer on Japanese landscapes and culture, noted that “generally speaking, we construct for endurance, the Japanese for impermanency. “ For the Japanese, an object of beauty can be all the more beautiful because of its impermanence or mujo. Kenko, an ancient Buddhist priest goes as far as saying that impermanence is essential to beauty. Such is the cherry blossom, whose blooming time can be shortened further by spring’s temperamental weather. The essence of the sakura’s beauty lies in its ephemeral and perishable nature. Closely connected to the concept of impermanence is mono no aware. Translated, mono no aware refers to the wistfulness or sadness that accompanies the transitory nature of things. The subtleties of this expression connote that beauty and joy in this world are often accompanied by the finite nature of things, and by the bittersweet emotions of change. The allure of the sakura would be diminished if the blossoms lasted for a month. It is because of their evanescent beauty that they are celebrated. In Japan the metaphor extends further to life itself. Life is rich with beauty, but life is also transient and tinged with sadness. Mujo and mono no aware are gentle reminders to focus on what is important and precious, and savour life’s moments. Lean Sensei International’s spring Japan Lean Tour kicked off this week. See our previous posts from this week. If you’re interested in joining our fall Japan Lean Tour, or interested in our fall Blackbelt program, which includes the Lean Tour, please contact our office at 604-264-1000. Here are some comments from clients that have visited Japan with us. The level of excellence and care provided by the LSI staff is second to none. From the coachers, to the logistics and planning, to the translation, the LSI staff is top notch. The best Lean manufacturing benchmarking tour on the planet!